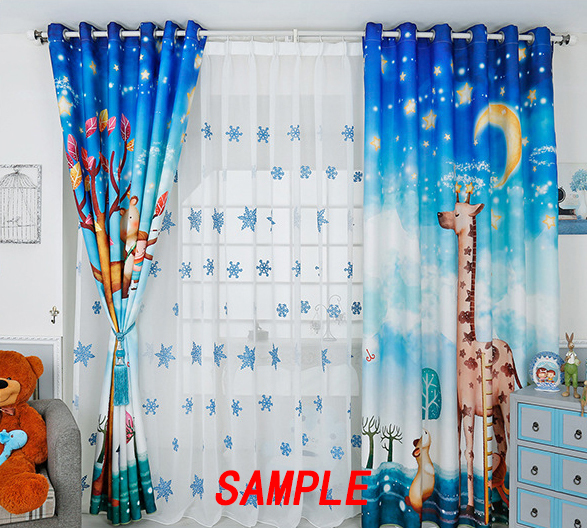 The dimensions of each panel is 52 x 84 inches.Each panel with 10 Grommets(1.6 inch inner diameter).Sound insulation, heat insulation, dust collection.Material: High Quality Canvas Curtain.One-Side Printing,Machine washable, dry cleaning suitable, easy-to-clean. • Sound insulation, heat insulation, dust collection.Material: High Quality Canvas Curtain. • One-Side Printing,Machine washable, dry cleaning suitable, easy-to-clean. • Each panel with 10 Grommets(1.6 inch inner diameter). • The dimensions of each panel is 52 x 84 inches.